This pre dialysis renal diet plan is for patients with a need for a renal diet menu who are not yet on dialysis. The diet plan is great for people who have a need for limited amount of protein and sodium. The plan is built on basic renal guidelines for calories and protein. In this plan, we provide a meal that contains less than 750 calories (including sides), less than 21 grams protein, less than 675 mg Sodium and less than 750 mg Potassium. 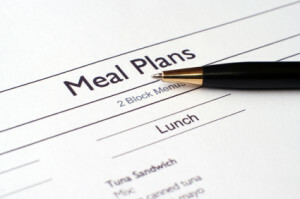 Take a look at a Sample Menu Plan. Sample menu plan is a series of screen shots of menu plan – may take a moment to load – intended to show layout and plan, not complete. CKD, which is an acronym for Chronic Kidney Disease, occurs when the kidneys are not functioning properly like they are supposed to. Kidney disease progresses through five stages and the stage a person is diagnosed with determines the meal plan they have to follow. If you are a predialysis patient, then following the predialysis renal diet will help you keep your kidneys working properly and make you feel healthier. By eating the right food, you will get energy and your body will be able to heal itself. Food is broken down in your intestines and stomach. Once food is digested, your blood absorbs nutrients from it, which are then carried to all the cells in your body. Nutrients from blood are then absorbed by those cells and waste products are released into the bloodstream. Healthy and properly functioning kidneys constantly filter the blood, removing wastes from it. Your body then eliminates those wastes when you excrete and urinate. If your kidneys are not healthy and are not functioning properly, they cannot remove wastes from your blood, so in order to prevent the buildup of waste in your body; you will need to consume fewer foods. Fluids: If you have been advised to adopt a predialysis renal diet, then you may have to restrict your fluid intake. However, this will depend on whether or not you are experiencing fluid retention, so it would be best to consult with your caregiver to determine whether or not you need to restrict your fluid intake entirely. Potassium: Many foods, particularly fruits, milk, and vegetables, contain the mineral potassium. The steadiness of your heartbeat is affected by this mineral. When your kidneys were healthy, they ensured that your blood had the right amount of potassium so that your heart would beat at a steady pace. If you consult with a dietitian, they will also help you add foods that are low in potassium to your diet. Phosphorus: Many foods also contain the mineral phosphorus. Calcium loss is promoted by excess phosphorus in the body, which can lead to osteoporosis. The loss of calcium will weaken your bones, as a result of which they may break. Your skin will also itch if there is too much phosphorus in your body. High-phosphorus foods include cheese, colas, dried beans, milk, nuts, and peanut butter. Your needs will depend on your kidney’s ability to use phosphorous. Your dietitian can tell you how much of these foods to eat. Protein: It is important to follow a low-protein diet. A lower protein diet will slow the rate of your kidney failure. Protein helps build lean muscle and repair tissue. The protein in your body is broken down into a waste product known as urea. You can become very ill as a result of excess urea in your blood. Consult with your dietitian to find out how many servings of chicken, eggs, fish, or meat you may eat on a daily basis. Based on your dietitian’s recommendation, you will have to limit yourself to eating a particular number of grams of protein every day. Sodium: Many foods and salt contain sodium. Huge amounts of sodium are also found in a majority of canned and frozen foods. Try to eat fresh and natural foods that are low in sodium. Pick food products with the “low sodium” label. Salt substitutes are not an ideal alternative since potassium is present in them. Your dietitian will be able recommend spice blends not containing potassium or sodium, which you can use to flavor your food. Minerals & Vitamins: Do not take any vitamins without consulting with your caregiver or dietitian. However, you may need to take minerals and vitamins to make up for their absence in your diet since you cannot eat so many foods. There are many components that make up a predialysis renal diet. If you are suffering from kidney disease, you may need to be watchful of all of the above in order to avoid excess fluid and waste buildup in your body, and to ensure that your kidneys continue functioning for as long as they can.